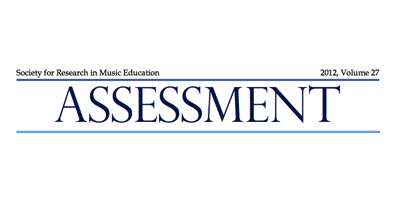 Music educators throughout the country are finding it difficult to meet the demands of the new teacher evaluation system. If you are looking for a curriculum that uses a systematic approach that ties what you are teaching in the classroom to student growth, read further. The Band program at Niles West had a one-of-a-kind Instrumental Music Curriculum that was field tested for the past 15 years. Our systematic approach held each student accountable for their own continuous development of technical skills and musical knowledge. Though this curriculum was designed for a band, it can be adapted for a choir or an orchestra as well. Our curriculum came about out of desperation! From 1983-1996, our fine arts students received either a pass or fail on their report card. After years of discussions within the fine arts staff about the pros and cons of grades, we were granted permission by the school board to give “weighted” grades. Then the reality of the situation hit us—now what? So, for the first year I did what many music educators do and assigned grades based on daily participation, attitude, and attendance. However, I felt there had to be a better way to assign grades. With the help of our private teaching staff, we put together a comprehensive Instrumental Music Curriculum. The curriculum that we developed was aligned with our stated District Learning Objectives and State of Illinois Learning Standards. Our systematic curricular approach held music students accountable for their individual performances and allowed me to track student growth. The data collection system made it easy to report the individual progress of each student while allowing me to reflect on and improve my teaching. The Instrumental Music Curriculum was comprised of a progressive etude and solo curriculum, scale study curriculum, music theory, daily demonstration of ensemble knowledge and skills, and written concert critiques. The centerpiece of the Instrumental Music Curriculum was a series of progressive etudes and solos designed to help each student develop their musical skills and knowledge required to perform in a high school band program and beyond. Each “instrument family” had their own set of etudes and solos with each being more difficult than the one before it. During a testing week, the students would rotate out of class to be assessed by one of our para-professional staff members. Each staff member would receive inter-rater reliability training at the start of every school year to calibrate their assessment standard. The students were authentically assessed on 6 etudes, 2 solos, and 12 scale studies per year. Within a couple of days, the testing was over and the grades were entered into the electronic grade book. When the etude assessment forms were returned to the students, the teacher would change seating based on their scores. Then the students would take out their cell phones and enter the individual category scores into a document found on our band website. Those scores were then put into a spreadsheet and sorted by student and by section where we could track the student and section category scores (tone, intonation, rhythm, etc.). You might be wondering about the legitimacy of the students entering their own category scores. Well, their “official” score for their grade was already entered into my grade book so they had no reason not to enter the correct scores from the assessment form. It was easy to corroborate the scores they entered into the database by simply referring to the spreadsheet after it was sorted by section. Besides, the students all knew that the numbers that they were entering electronically into the document on the website was to give me the ability to help make them and the band program improve. At a quick glance, we could determine the exact performance level of each student and each section of the band. If the numbers were low for an individual student or a particular section, we could immediately address it with an intervention. That intervention might be as simple as talking to the student with a low score in tone or intonation to ascertain the problem. The student might have been playing on a bad reed that day or that the student might need to spend some time with one of our student leaders with a tuner in a practice room. If a trend was noticed in a particular section, an intervention could be created based on actual data, not just on a hunch or a “feeling.” For example, it might be decided that we need to spend more time on chorales rather than technical studies in a particular band. We used actual data that was collected at regular intervals to drive the instruction in the classroom. The new mandates on teacher evaluation are sweeping the country like a wild fire and are affecting every music teacher. If you feel frustrated and confused, you are not alone. I sincerely hope that some of the ideas presented here will help teachers generate ideas on how they can evaluate student learning and show student growth in their classrooms. Let’s keep the lines of communication open and we will all come through this together.